Need boiler repair in Broomall, PA? Call John McCuen Plumbing Heating Air Conditioning, Inc. now at (610) 325-9395 for fast and friendly professional boiler repair. For special offers and money-saving coupons, click here. Few things are better than walking into your nice warm home on a cold Pennsylvania day, but how often do you really think about what’s keeping your home nice and toasty? If you’re like most people, you probably don’t give your heating system much thought until it stops working and you find yourself suddenly in need of boiler repair. For Boiler repair in Broomall, PA and the surrounding areas, trust John McCuen Plumbing Heating Air Conditioning, Inc. The expert technicians at John McCuen Plumbing Heating Air Conditioning, Inc. can repair these problems and many others. If you have an older system, and upgrading your boiler makes more financial sense than repairing it, we will help you choose the one that is best for your home, and we will get it installed in a hurry. The best way to avoid a broken boiler is to keep up with boiler maintenance. Proper maintenance will keep your boiler working properly, and it will give you a chance to identify minor problems before they turn into major catastrophes. In addition to top-of-the-line boiler repair service, John McCuen Plumbing Heating Air Conditioning, Inc. also offers professional boiler maintenance in Broomall, PA.
Why Choose McCuen for Boiler Repair in Broomall? When you choose John McCuen Plumbing Heating Air Conditioning, Inc. for boiler repair or boiler maintenance in Broomall, PA and the surrounding areas, you are hiring professionals who are dedicated to providing the right solutions and excellent customer service to everyone we serve. We are trusted in the community. 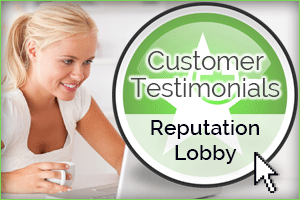 Just click here to see all the great things your neighbors have to say about us! If you need boiler repair in Broomall, PA or the surrounding areas, don’t hesitate. Call John McCuen Plumbing Heating Air Conditioning, Inc. now at (610) 325-9395.